Dementia and Alzheimer’s disease are among the major causes of disability among the elderly. 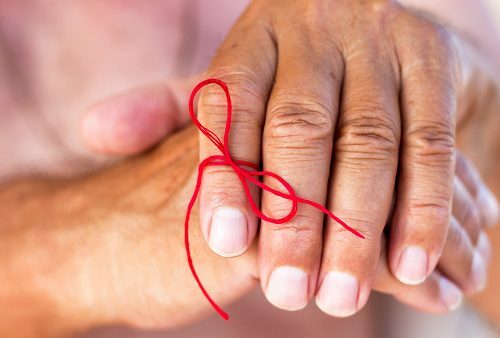 Nearly 40 million people worldwide suffer from dementia. The disease has a physical, psychological, social, and economic impact on those who have it. If you have been touched by dementia or know someone who has, you know how important it is to prevent. Neurologists in Germany have discovered that the diabetes drug pioglitazone can reduce the risk of developing dementia. The researchers based their conclusion on an in-depth analysis, which included data on diseases and medications taken from a German public health insurance company. They evaluated health information of 145,000 people aged 60 and older. Two diabetes drugs – pioglitazone and metformin – were found to reduce the risk of developing dementia. However, pioglitazone results were, as one neurologist put it, “remarkable.” The study showed that the risk of developing dementia if you were taking pioglitazone for diabetes was about 47 percent lower than in non-diabetics. Pioglitazone enables the body to become more sensitive to insulin. It acts as an anti-inflammatory as well, inhibiting the deposit of harmful proteins in the brain. Laboratory tests have indicated that it can also protect nerve cells. The German neurologists say their analysis suggests the drug has strong prevention ability when taken before the symptoms of dementia appear. Type 2 diabetes is a lifelong disease that affects the way our body handles glucose. Eating healthy and taking part in regular physical activity is the best way to reduce your risk of getting diabetes. If you do end up with the disease, medication is likely. Pioglitazone is a common treatment, but there are potential side effects, so it is important to learn as much as you can before taking it. If it’s hard to remember to take your diabetes medication regularly, ask your doctor to simplify the prescription to just one tablet a day. If swallowing tablets is difficult, ask your doctor for medications available in syrup or powder form. Insulin injections may also be reduced to fewer per day. If you are forgetting how and when to take your injections, you can arrange to have a nurse assist you if required. Sometimes, diabetes medication including insulin can cause hypoglycemia, or low blood sugar. This can worsen the existing symptoms of dementia and contribute to feelings of fatigue, poor concentration, forgetfulness, and falls. If you suspect this is the case, ask your doctor to change your medication to one that does not cause hypoglycemia. Make sure your caretaker can recognize the symptoms of hypoglycemia if you cannot. If you are losing weight or have trouble with eating, ask your doctor to refer you to a dietician – make sure a nutritional plan is being followed, optimizing health for the person with diabetes and dementia. The neurologists in Germany want to know more about how the medication works so well in reducing risk. Further research should focus on the impact of the drug on non-diabetics and look at other antidiabetic medication.